First Tooth/hair curl Box Charmmykitty 5.5x4.5cm sp./lacq. First Tooth Box miffy 6x4cm sp./lacq. Photo frame Charmmykitty 10x15cm sp./lacq. Tooth/hair-lock box with the famous rabbit Miffy on the lid. The inside is lined with blue velvet. This box can be engraved, which makes it the perfect gift. It is silver-plated and lacquered and requires no polishing. 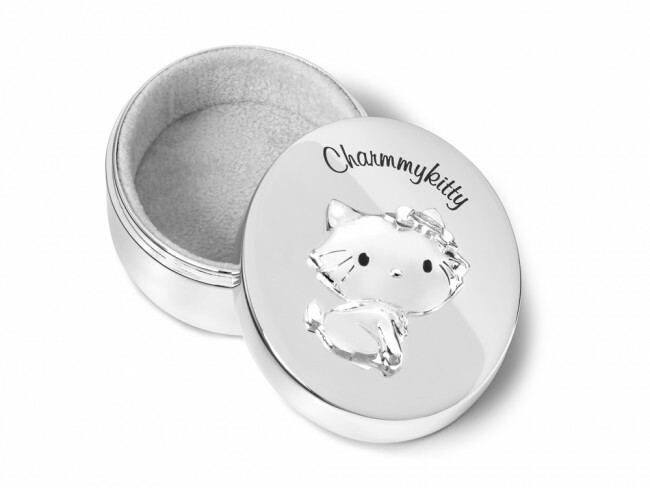 Charmmykitty is a white Persian cat that Hello Kitty received as a gift from her father. She likes shiny things. This money box is a perfect fit, because it is sliver plated and always stays shiny! The money box can be engraved, making it ideal as a personal gift. 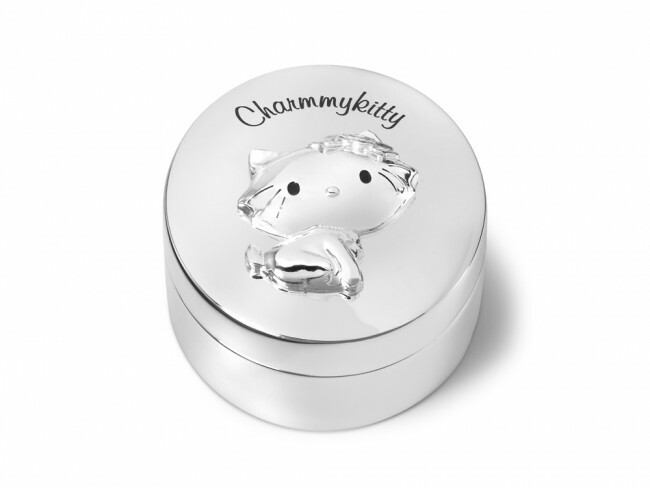 Charmmykitty is a white Persian cat that Hello Kitty received as a gift from her father. She likes shiny things. This photo frame is a perfect fit, because it is sliver plated and always stays shiny! The photo frame can be engraved, making it ideal as a personal gift. 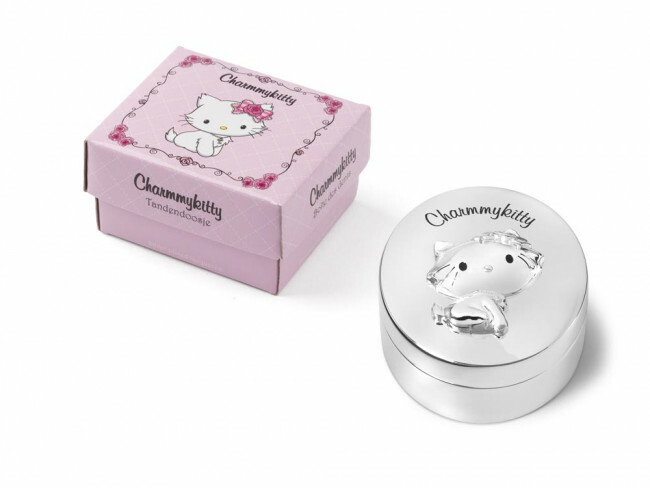 Cute oval-shaped silver-plated box to keep baby teeth and/or a strand of hair, with an image of Charmmykitty. This box can be engraved, which makes it the perfect gift. It is silver-plated and lacquered, and therefore requires no polishing. 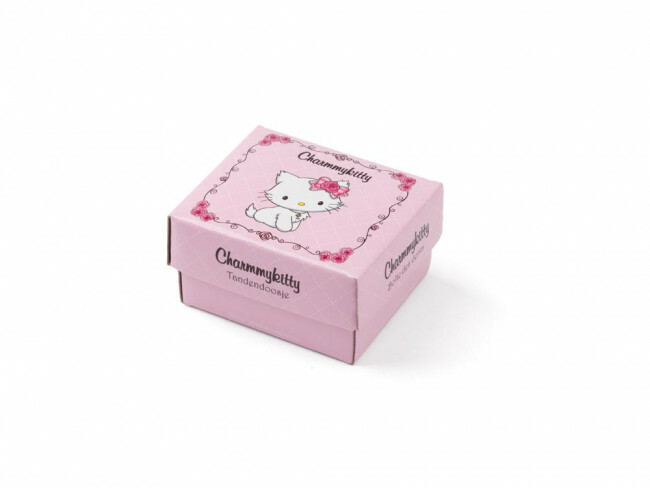 You're reviewing: First Tooth/hair curl Box Charmmykitty 5.5x4.5cm sp./lacq.